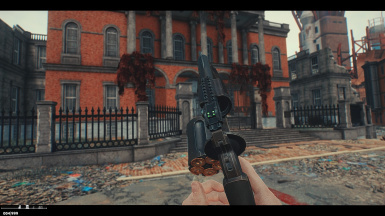 This will replace all vanilla pipe bolt action and pipe revolver weapons in the game into ExpoAlt﻿'s MTs-255 Revolver Shotgun weapon mod. 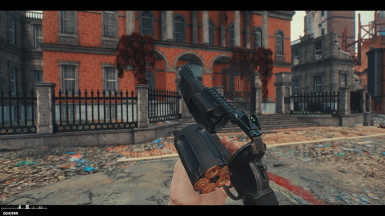 This weapon mod is one of the few that exist here on the FO4 Nexus where the grip animation changes depending on whether you select a grip or a stock. This makes it perfect for pipe weapons as it fills in the versatile role vanilla pipe weapons had while changing the aesthetic overall. 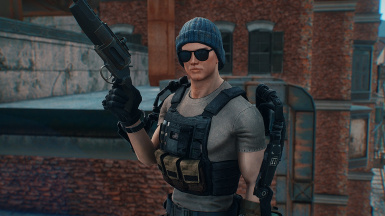 Both pipe revolvers and pipe bolt action guns will use a grip if it is a pistol and a stock if it is a rifle, as dictated by the vanilla object template. Barrels will be random on all pipe bolt action weapons. 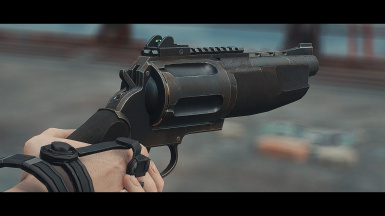 Pipe revolvers will spawn with a random assortment of short barrels, including the short silenced barrel. 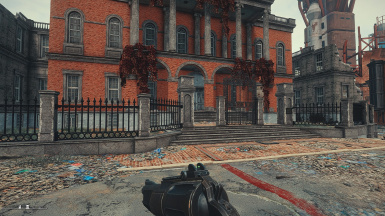 Sights will be randomized on all replaced weapons except for sniper rifles, which will use scopes exclusively. 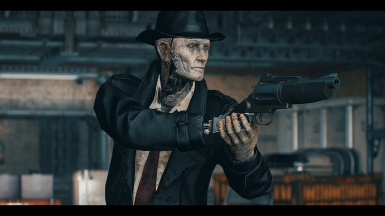 This will also replace Nick Valentine's pipe revolver into the MTs-255. See screenshots. Simply uninstall with your mod manager, but remember: the golden rule of modding is not to uninstall anything mid-game. This mod makes data changes that may be irreversible, so you may have to load a previous save that hasn't seen this mod. 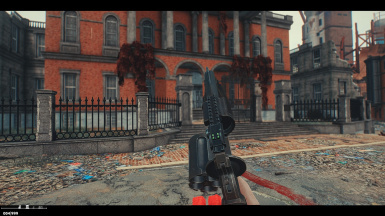 This is an issue with the weapon mod itself and not really an issue with this replacer. 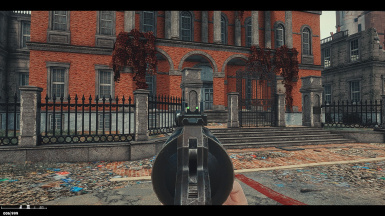 The original weapon mod uses vanilla animations. 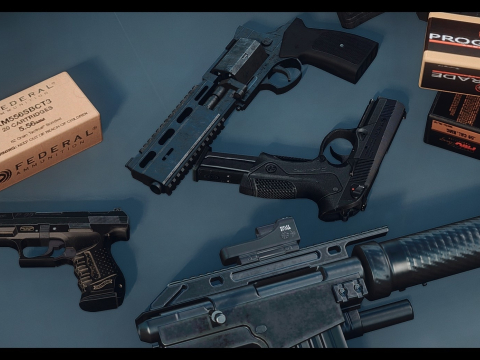 The weapon will float above the hands when a stock is equipped on the weapon. This may be a dealbreaker for some of you. See pic below. - Plate carrier in screenshots is from "Resident Evil Military Pack" by EvTital. 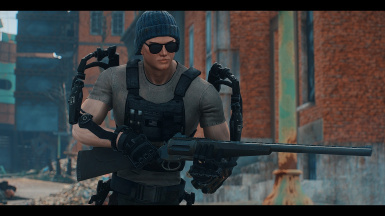 Found on Gunetwork.org in the subforum "Fallout Public Armor Mods"
- Exo-skeleton in screenshots is from the thread "Outlawer's Fo4 outfit pack 2". 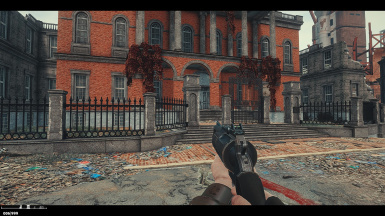 Found on Gunetwork.org in the subforum "Fallout Public Armor Mods"